James reads by his open bedroom window at night. Other lives and other worlds beckon. One of these worlds is conjured by old Mr Woodford, a physicist who looks more like an accountant and who constructs a strange black box. One day when James slips into the laboratory, he makes a dreadful discovery and learns to master a great power. Who is the little boy in Mexico who scratches pictures of aeroplanes in the dust? How will the girl caught in a wartime bomb blast be reunited with her parents? And why does James sit alone in his island of silence? 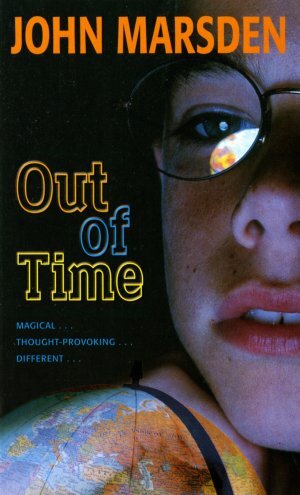 With Out of Time John Marsden has produced a novel that will further enhance his reputation as one of the most successful writers of fiction for teenagers. This is a challenging novel which poses a new question on every page as it draws us into an ever-widening series of mysteries, into magical, dangerous worlds – in and out of time.